Helps to keep your wires and cables neat and organized. Sleeve is 1/4" and expands up to 1/2". and 12" of 1/2" black heat shrink. 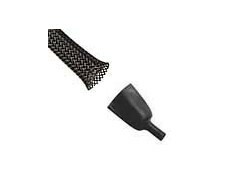 This cable is 12 inches long with 26 GA wire and has universal connectors. This cable is 28 inches long with 26 GA wire and has universal connectors. 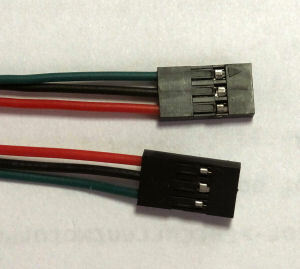 This servo cable is 6 inches (15 cm) long with 26 GA wire and has universal connectors. 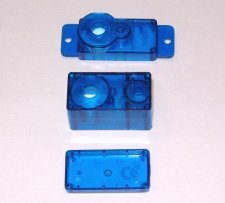 This servo extension is 6 inches long with 26 GA wire and has universal connectors. 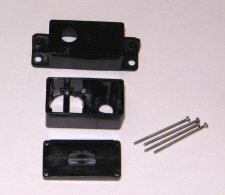 This servo extension is 12 inches long with 26 GA wire and has universal connectors. 10 feet of 26 GA servo wire (3 conductor). 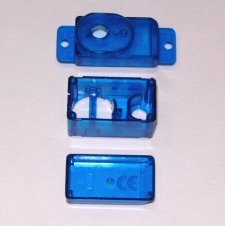 Custom make a cable or harness with these universal connectors. 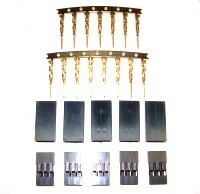 Includes 5 connectors per package. Requires crimper sold below. 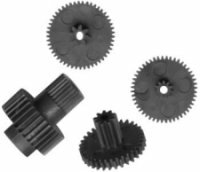 Replacement servo gear set. Includes bearings (not shown in pic).